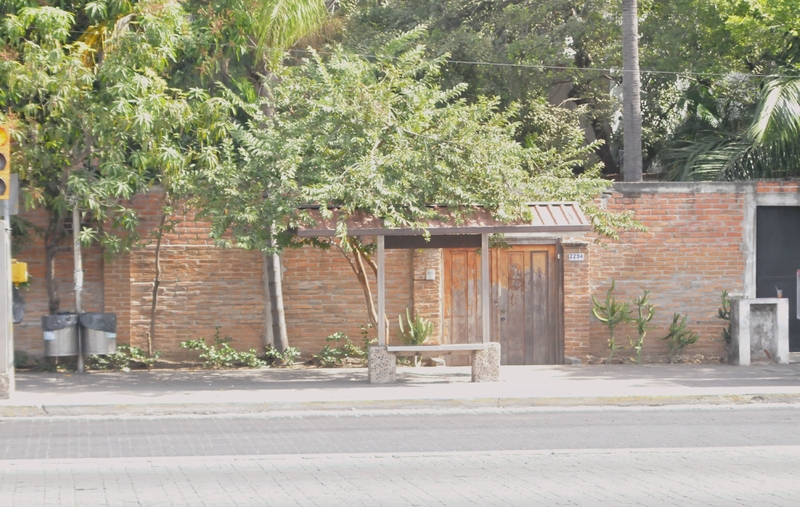 A bus stop, constructed of wood atop two stone bases, blended gently into a brick wall of the neighborhood. 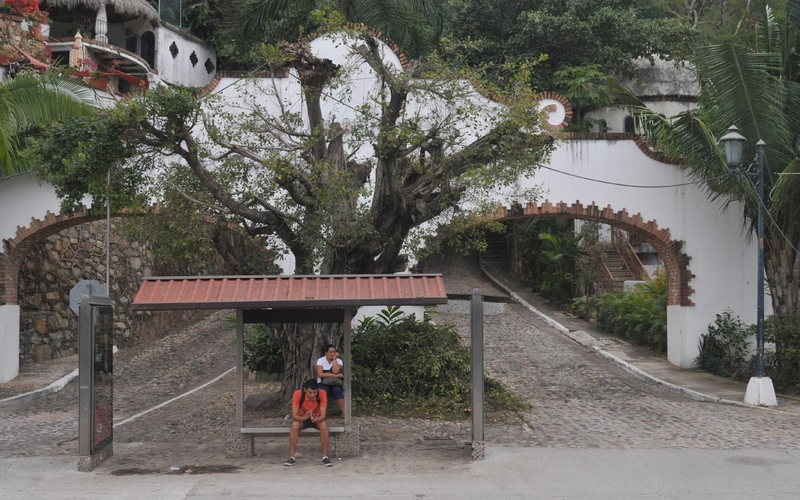 Two people waited for a bus to arrive. One sat and one stood at a bus stop in front of a hotel. 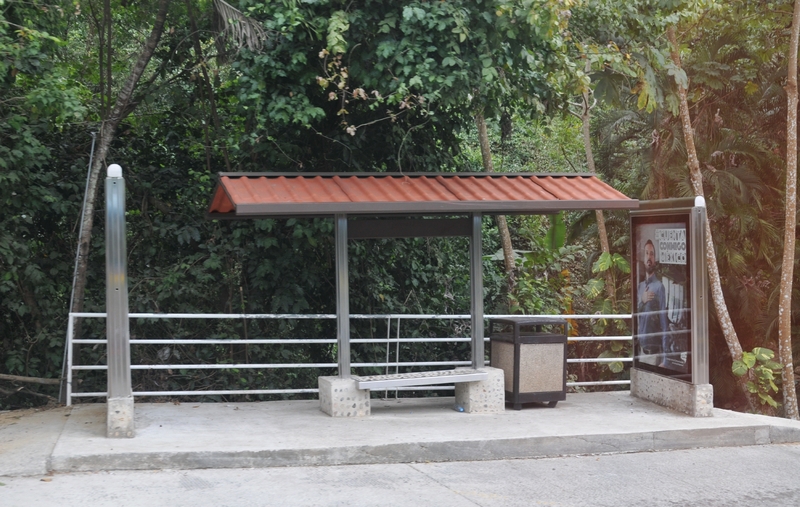 A bus stop was constructed in front of a tropical jungle. 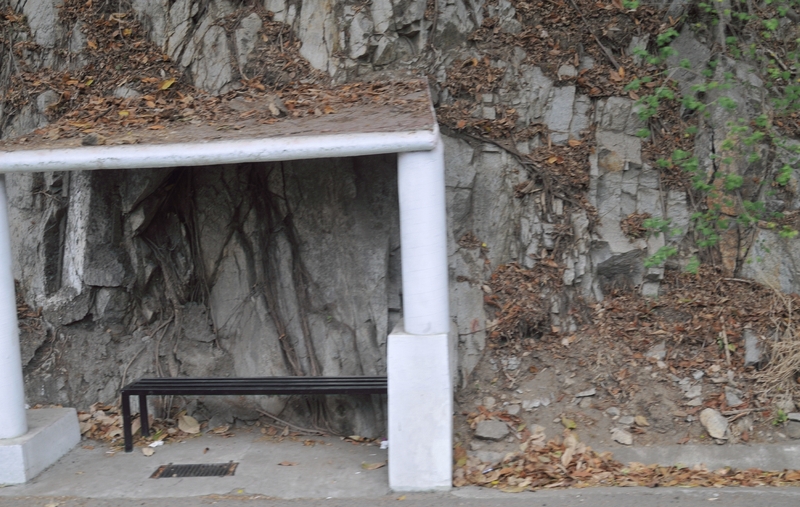 A bus stop constructed of concrete stood at the base of a steep stone cliff.